Volkswagen is one of the biggest passenger car maker in the world and it has produced several exciting car models in the automobile segment. 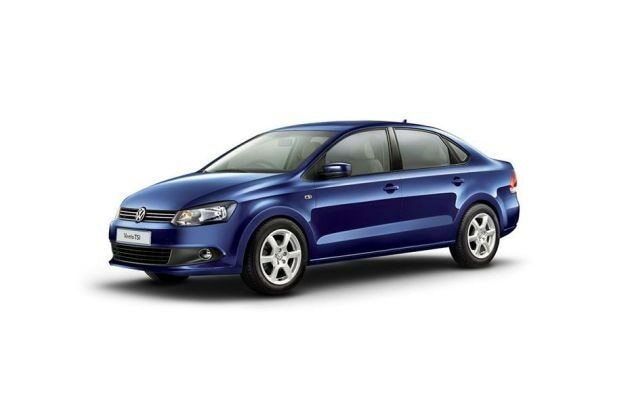 One such model is the Volkswagen Vento, which is currently available with petrol and diesel engine options. There are three diesel variants available in its model series out of which, Volkswagen Vento Diesel Highline is the top end variant that is powered by a 4-cylinder, 1.6-litre in-line diesel power plant that is powerful as well as fuel efficient. This engine is claimed to have the efficiency to give away a peak mileage of about 20.53 Kmpl, which is considerably the best for its stature. In terms of appearance and style, Vento has the best in class body style with great fit and finish that makes it look alluring. The company accentuated its body with a lot of chrome treatment that brought a distinct yet classy look to the vehicle. The comforts and conveniences offered by this vehicle are matchless as the company incorporated some of the top rated features that pays best value for money. On the other hand, the company hasn't compromised on the safety aspects of this sedan and gave utmost importance to its protective features. The top end variant in the Volkswagen Vento model series has been blessed with a lot of striking exterior features. The front and rear profiles of this four wheeler has a lot of aggressive and sporty elements that makes it look unique in its segment. To start with the front profile, the most dominant part of the front profile is the headlight cluster that are incorporated with halogen lamps and comes with a black finish. This headlight cluster surrounds the chrome radiator grille with the stylish company logo fitted in the center. Just below this radiator grille, there is a sporty bumper painted in body color and it houses a wide air dam and fog lights that has a chrome surround. When it comes to the side, it has body colored handles and ORVMs. The wheel arches have been crafted well and they are skillfully fitted with 15 inch “lakeside” style alloy wheels. On the rear end, the company has fitted the body colored bumper, a large windscreen accompanied with an expressive boot lid and striking taillight cluster. The boot lid has a lot of chrome inserts in the form of variant badge, company logo and model badge. When it comes to the inside section, this particular variant is blessed with plush interiors and there are a lot of features installed. The interiors of this variant are designed using high quality scratch resistance plastic material that helped the company to obtain a close finishing. The dashboard in the front cabin is very stylish and expressive and it houses several top class equipments and functions. The steering wheel also looks very stylish and it is wrapped in leather upholstery. The seats fitted inside the cabin have been covered with leatherette material that gives a premium feel to the passengers. There is a lot of space inside the cabin that can provide a comfortable seating for all five passengers. This top end variant's interior cabin is filled with tons of comforts, convenience and utility based functions that takes care of the occupants and fulfills all the requirements. The list of interior features includes leather wrapped gearshift knob and steering wheel, 3 grab handles above doors with folding coat hooks, storage compartment in front doors , chrome interior trims, cup holders, bottle holders, front and rear center arm rest and lots of other aspects. This Volkswagen Vento diesel Highline is the top end variant in its model series and it is being offered with a 4-cylinder, In-line, 1.6-litre DOHC based power plant that can produce 1598cc displacement capacity. This engine is further incorporated with a turbocharger that unleashes a peak power output of about 103.56bhp at 4000rpm at the same time it yields a peak torque output of about 250Nm in between 1500 to 2500rpm. The front wheels of this sedan will derive the commanding engine power through the 5-speed manual transmission gearbox. This manual gearbox soothes the engine and allows it to deliver a high performance. According to the German automaker, this diesel variant has the ability to return a class leading mileage figure of about 20.53 Kmpl, which is impressive. The Volkswagen Vento Diesel Highline trim comes with top rated braking aspect that ensures a skid free driving experience. This vehicles front wheels are equipped with disc brakes, while its rear wheels are equipped with drum brakes. The company has further enhanced this disc and drum braking mechanism by incorporating the anti-lock braking system that keeps the vehicle stable and agile without any skids even when sudden brakes are applied. On the other hand, Volkswagen has blessed this variant with a robust suspension system that takes care of the passengers drive comforts. The German auto firm has fitted the front axle of this sedan with a McPherson Strut type of suspension, while assembling its rear axle with a Semi-independent trailing arm type of suspension mechanism. The Volkswagen Vento Diesel Highline is the high end variant, which is the reason why it is blessed with some of the sophisticated features. The company blessed this variant with tons of features that pays back greater value for money. Some of the most important features include the driver's seat height adjustment, air conditioner unit with rear AC vents , speed-related electronic power steering, front intermittent wipers, stylish instrument cluster, electric trunk opening, rear defogger, front and rear power windows and lots of other aspects. Apart from all these features, Volkswagen also installed few of the sophisticated aspects such as a central locking system, reverse parking system, an advanced 2-DIN, RCD 320 audio player with USB, SD Card Slot and AUX-In support and so on. Also there is a multi-information display that comes with various useful functions such as speed limit warning, traveling time, average speed, distance till empty, distance traveled and so on. Coming to the safety aspects, this Volkswagen Vento diesel Highline variant comes with top rated protective functions. Few of those sophisticated aspects include anti lock braking system, pinch guard safety for all 4 power windows, dual air bags , high mount third brake light, front and rear fog lights, an engine immobilizer system with floating code and so on. Pros: Decent fuel efficiency, top rated comforts and safety aspects. Cons: Price tag is very high, interior design could be made much better.